Marvin passed away suddenly, at his home in Barriere, BC, on Wednesday, June 24th, 2015 in his 77th year. Marvin was the beloved father of Don (Patty), and Cathy (Nick). He was also the proud grandfather of 15 grandchildren: Jeremy (Genna), Caleb, Kenneth, Matthew, Natika, Rachel, Andrew, Tiara, Rebecca, Matthias, Nathan, Jonathan, Hope, Joy and Ariana. He was the older brother to Ron (Bev) and Lorraine Meller. Marv was born in 1937 to Clarence and Dagney Meller in Drumheller AB. He had fond memories of growing up on the Prairies, both in Alberta and Montana as the oldest of the preacher’s kids. After attending Bible school, Marv turned his love of music into a lifelong vocation of piano tuning and piano restoration. He passed on his love of music to his grandchildren and taught many of them on the piano. Marv loved the Lord and served Him in many churches over the years. He was a charter member of Westsyde Baptist in Kamloops and a deacon and member for many years at Bethany Baptist in Barriere. Please join us in remembering Marv on Friday, July 3, 2015. 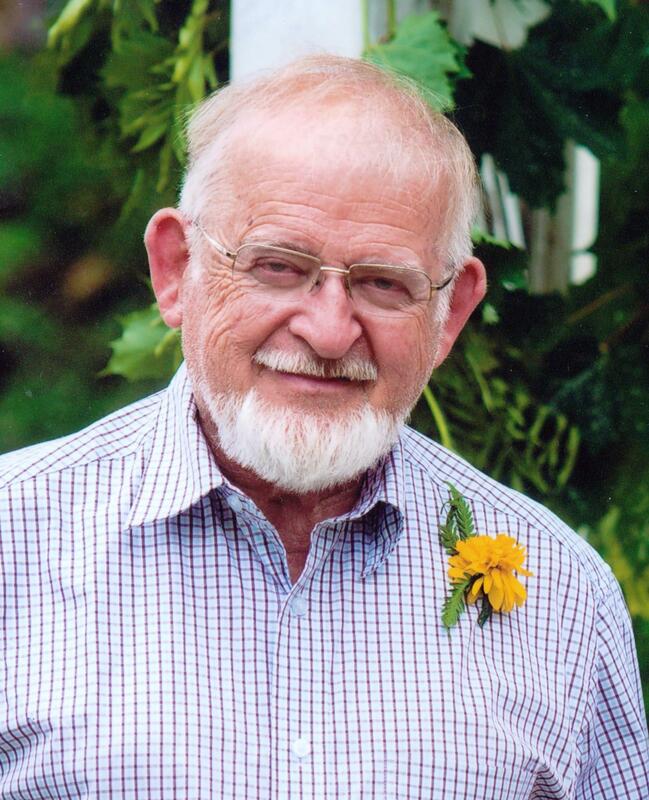 His interment will be at 10 am at the Barriere Cemetary, with a service in honor of his life and faith at 2 pm in Kamloops at First Baptist Church. Arrangements entrusted to North Thompson Funeral Services, Barriere, BC, telephone 250-672-1999. We were saddened and shocked to hear of Marven’s sudden passing! Marven often visited our family during his piano-tuning trips. He and Morley enjoyed many fun times together, especially during their teenage years in Calgary. Two things that stood out were his love of family and his pride in his grandchildren. Our family will be praying for you as you walk through your journey of bereavement. So sorry to hear about the passing of your beloved father/grandfather. May your faith and the love of your family comfort you in this difficult time. The class of 1955 from Wibaux County High School just had their 60 year class reunion in Wibaux, MT. I was talking to my cousin, Norrine Amunrud Lunde, who graduated with Marvin in that class. I asked if Marvin had attended. She said she had not heard from him so I looked him up on the Internet and came upon his obituary! I am so sorry for your loss! Ron or Lorraine, I would love to hear from you and re-connect after all these years!! It sounded like Marvin lived a dedicated, fulfilling life. Wow– all those grandchildren! What a great legacy!! I happened to be looking at Norrine Amunrud Lunde’s FB site and saw Marvin’s obituary that had been sent to her by Arla. So I’m just finding out today, October 18, of his death. I am so very sorry. Marvin and I were good friends in high school and graduated together. Several years ago – I’ve forgotten what year – he was in Montana and spent a day at the Petermann ranch. My brother Bob’s daughter-in-law, Heidi, took us horseback riding. He was in the same campground where my husband and I parked our RV, so we visited quite a bit. Marvin tuned my sister’s piano while in Wibaux. Ron and Lorraine, I remember you, and have always loved your family, What joy your parents brought to our church. My thoughts and prayers go out to you. I just hope this site is still active and you receive my condolences. I’d love to hear from you! You could send to Bob Petermann at Wibaux. In our small town, no more address needed. Way ‘lon ‘timeago, a guy came to Bella Coola with a one ton box truck full of pianos and an organ, plus sundry religious convictions. And years later possibly more pianos. I bought an 1927 Heintzman from him in the seventies, and he would do his dutiful tune up on the instruments he’s sold in the valley, and probably fixed many mistakes performed locally. Perhaps Marv. considered himself another prophet from an religion that he was alone with. Loved his own brew tea which he brought to the house; His parting words to me, a long time customer, were: : You only want to talk about religion on your terms” . Marv didn’t drink. Its been over a year and of course I still miss my dad. I look forward to seeing him again someday because of the gift of eternal life through JESUS the messiah. For those of you who flip through this page and would like to get in touch with various family members; please use dad’s email address: marvmeller@yahoo.ca. It’s been kept open. I can then forwad the email to the particular family member.